At Pennzoil®, they tirelessly strive to produce the most technologically advanced, highest performing motor oils on the market. So it is with excitment that Pennzoil® recently introduced Pennzoil Platinum® and Pennzoil Ultra Platinum™ with PurePlus™ Technology, full synthetic motor oils formulated from natural gas. PurePlus Technology is a patented, revolutionary process that converts pure natural gas into the first-of-its-kind, high qua4lity full synthetic base oil. The Pennzoil Platinum line of products made with PurePlus Technology is the first major development in motor oil in more than 40 years. PurePlus Technology is a patented, revolutionary process that converts pure natural gas into the first-of-its-kind, high quality, full synthetic base oil used in the Pennzoil Platinum line of motor oils. It produces a crystal clear base oil that is 99.5 percent pure with fewer impurities than base oils made from crude oil, the start to many other traditional and synthetic motor oils. PurePlus base oils enable very low volatility formulations with NOACK volatilities of 10 percent and lower - results typical API Group II and III (synthetic) base stocks cannot achieve. This means less oils lost by evaporating off hot engine surfaces such as piston rings. 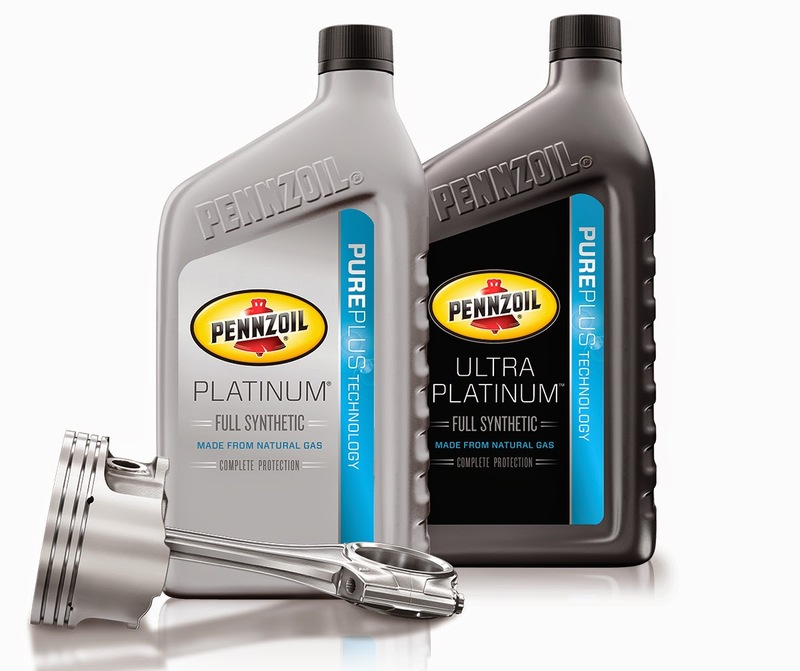 Pennzoil Platinum premium motor oils keep pistons cleaner than any other leading synthetic, deliver better fuel economy, protect against horsepower loss, provide unsurpassed wear protection and deliver excellent performance in extreme temperatures. The benefits of piston cleanliness, fuel economy and wear protection are derived from the combination of Pennzoil additive chemistry with PurePlus™ Base Oil. 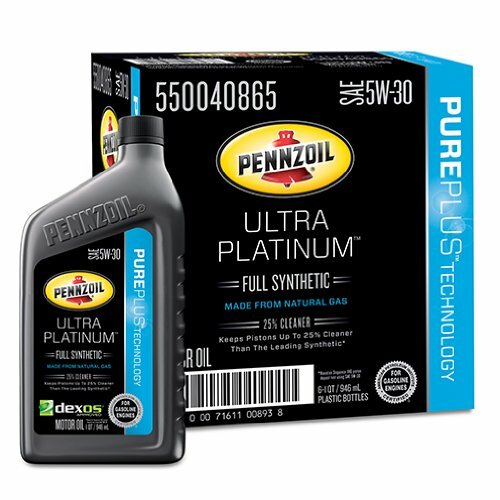 PurePlus Base Oils are able to fully enhance the benefits of Pennzoil additive chemistry which allow the full formulations of Pennzoil Platinum and Pennzoil Ultra Platinum to deliver these consumer benefits.